(1 each/unit) For RG6 Cable with 60% Braid Shield Coverage. 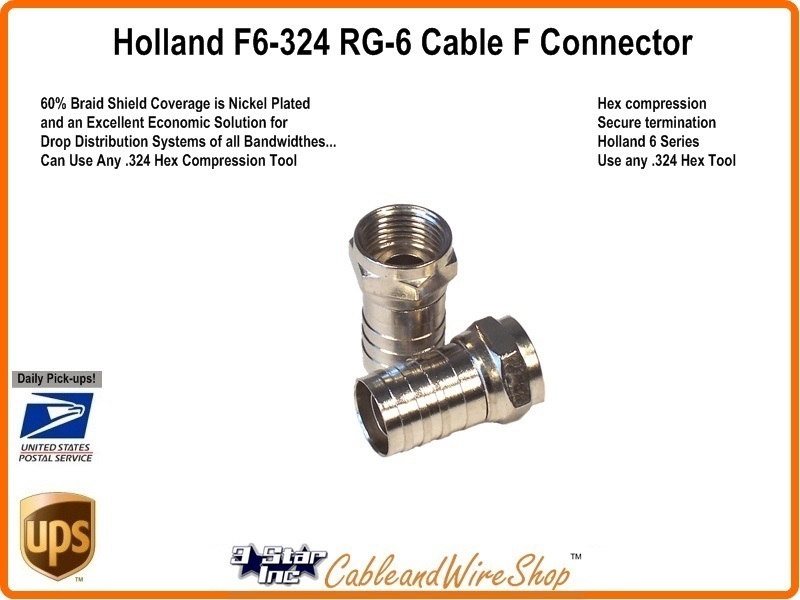 This Nickel Plated connector is an Excellent Economic Solution for Drop Distribution Systems of all Bandwidthes. If you have and older system that was installed using connectors that look like this one, either use this newer manufacture model or upgrade to a radial compression model. Note: This connector is a modern manufacture of an old design. We recommend this in repairing old system installation installed with older RG6 cable. Confine the use of this connector to interior and in-wall. If you are looking for exterior use connectors. We have 'em, go back to the category view and select.